Various designs of 1st class gummed stamps are used. Mostly whole sheets of stamps and part sheets so makes sticking stamps on envelopes a little easier! 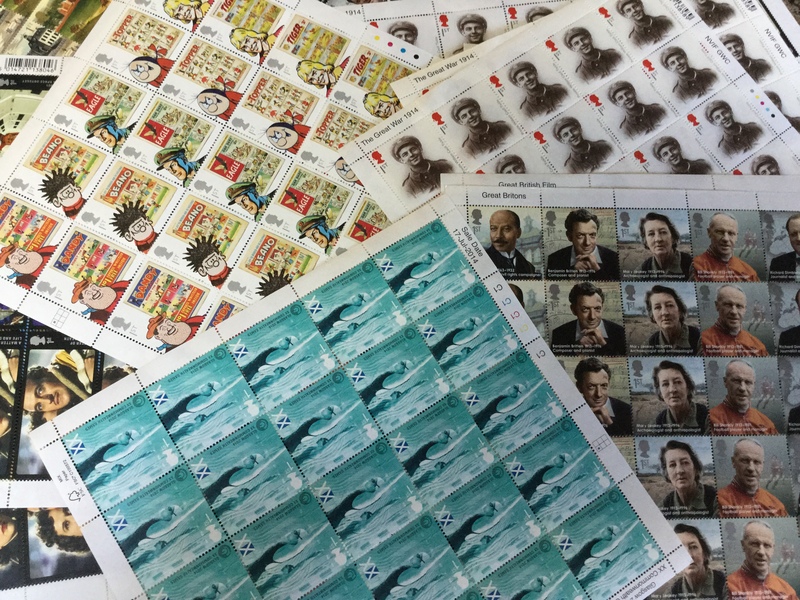 Some sheets may have light creasing on some stamps but all stamps are useable. 50/4 x 1st Class Large Letter Stamps (JUBILEE) *4% Discount* LTD Price Reduction!